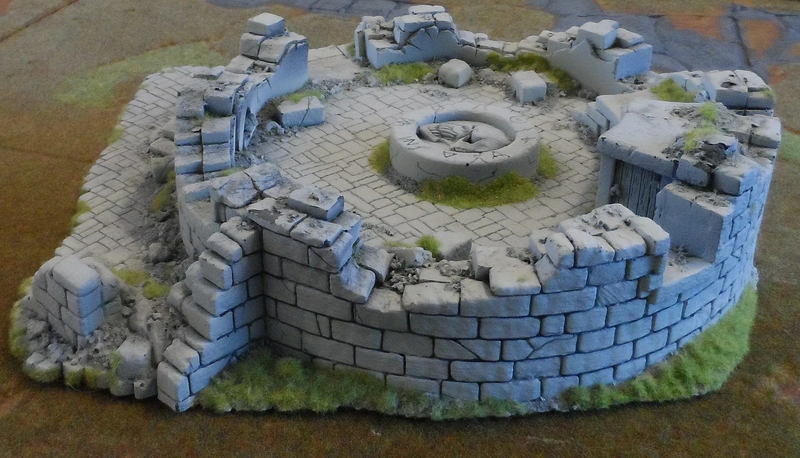 The old GW high density foam scenery piece. 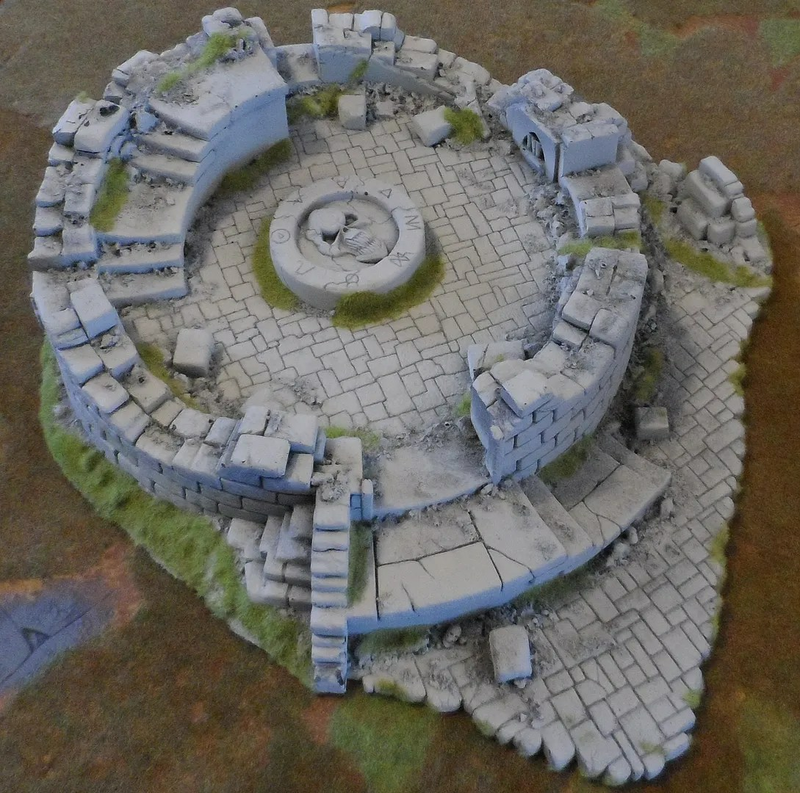 Counts as an Arcane Ruin as per the rule book. Cannot be climbed nor fought over by normal Infantry or Cavalry (from the outside). Can be fought over by Monstrous Infantry and similar such models. Can be climbed over by such models (Difficult Terrain test). All models can climb down them, but must take a Difficult Terrain test. Flyers may move into the ruins. Infantry may only move into it using the stairs. Formed Infantry units must start at the beginning of their move at the base of the stairs, and make a double move to get into the terrain piece. Skirmish units must start at the base o the stairs, but only make a normal move. Infantry and all other units defending the walls, counts as defending an obstacle. War Machines may never enter the ruins – in the middle of battle its just too difficult. This was a LE item from 10 or more years ago.